Re: The definative SHUMPS list. I'm a bit of a Cave fan, so there's those from them. All of these aside from Sai-dai-ou-jou are available either on the 360 or as a ROM, or both. Or PS2, for a very few of them. There's waaaaaaaaaaaaaaaaaaaaayyyyyyyyyyy more I could list here, in terms of shmups I'm aware of, but that'd take forever. I'll add more later. Any shmup list without Gate of Thunder is not worth looking at. Never heard of that one, looks bloody awesome and very R-Type ish.. Or is R-Type like that? It's more like Thunder Force III, only better. 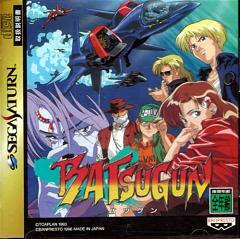 Oh I do enjoy a good Shmup. These were some of my favorites. I don't have of those yet but did get these shooters for the Saturn recently, which are all very good. Lords of Thunder has one of my favourite game soundtracks ever. That reminds me I still really need to pick up Gleylancer. One that always sticks in my mind is Blood Money on the Amiga. It's not even that great of a shooter but it was one of the first games I had after upgrading from a Spectrum....the intro sequence was mind blowing at the time! One that always sticks in my is Blood Money on the Amiga. It's not even that great of a shooter but it was one of the first games I had after upgrading from a Spectrum....the intro sequence was mind blowing at the time! Funny you mention it because I was playing the ST version just the other day, deffo one of the first games on that machine to wow me! The sound on the Amiga and ST still wow me today. Xenon 2 is another shooter that has a fantastic intro with great music (pinched from Assault on Precinct 13 no less).